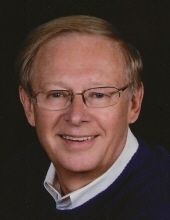 Dr. John M. Peterson, 70, of West Bridgewater, passed away on Tuesday, February 05, 2019 under the care of his loving wife and hospice after a courageous battle with cancer. He was the husband of Linn (Axford) Peterson. Born February 1, 1949, in Worcester, MA he was the only child of Arthur Peterson and Ruth E. (Rochette) Peterson. John was raised and educated in Worcester. He was a graduate of Assumption Preparatory School in Worcester Class of 1967. He then continued his studies at UMASS Amherst, Class of 1971 and Tufts University School of Dental Medicine. John opened his own dental practice, John M. Peterson, DMD at 349 West Center Street, West Bridgewater in 1976. John visited Jamaica and Peru with an outreach program to assist those in need with dental work. John enjoyed sky diving in Pepperell, MA. He was a passionate history buff who enjoyed collecting WWII and other military memorabilia. John also enjoyed gardening. He is survived by his wife, Linn (Axford) Peterson; his children, Brent M. Peterson and his wife Dawn and Andrew G. Peterson and his wife Naomi; his grandchildren, Abigail Peterson, Asher G. Peterson and Aislyn I. Peterson. Following cremation, a Memorial Gathering will be held in the Russell & Pica Funeral Home, 441 South Main St., (RT28) West Bridgewater on Tuesday, February 12th from 4:00PM-8:00 PM. Memorial Services will be held in the Church of the Pilgrimage, 8 Town Square, Plymouth, MA on Saturday February 16th at 11:00 A.M. In lieu of flowers, donations may be made to the Church of the Pilgrimage, 8 Town Square, Plymouth, MA 02360, or to the Jamaica Outreach Program, Memo: Dental Missions, PO BOX 110581, Naples, FL 34108 or to the Hope for Peru, 53 Spruce Cove Rd., Harpswell, ME 04079. "Email Address" would like to share the life celebration of Dr. John Michael Peterson. Click on the "link" to go to share a favorite memory or leave a condolence message for the family.